HANOI, Vietnam — Agence France-Presse reporters on the ground in Hanoi have confirmed a ceasefire following a joint Franco-American attack on rebel Vietnamese forces across the country. While American soldiers concentrated their fighting in the stronghold city of Haiphong, the French launched a multi-pronged attack centered in Saigon with a number of paramilitary offensives radiating out from the capital. 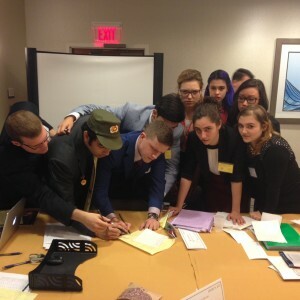 Western military leaders plan subsequent attacks on Vietnamese dissidents. Total Western causalities are estimated to be no more than 200 soldiers, while American military commanders estimate that well over 1,000 Vietnamese rebels were killed in the fighting with another 1,000 wounded. In response to the attack, the head of the Free Vietnamese state, long believed to be under French protectorate control, proposed a plan to reunify rebel territories into the rest of the country. While Vietnamese rebel forces could not be reached directly for comment, our reporters confirmed receipt of a telegram purportedly from Vietcong forces threatening “extensive guerilla warfare” in retaliation. Further information and inquires can be directed to the Agence France-Presse bureau chief in Hanoi currently stationed in the Salle Orléans of the Boston Marriott Copley Place Hotel.